The Councils of Health and Environment of the City of Totanahan presented the annual campaign of citizen awareness to promote the culture of recycling through the separation at source of light packaging and paper-cardboard, which will be developed with the collaboration of Ecoembes under the title "Recycle and breathe." 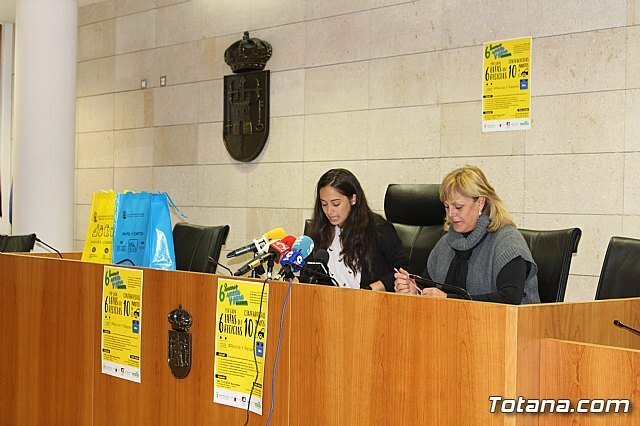 This action will be developed in the course of an information campaign and the main initiative that will be supported this year is the "Recycle and Win" contest, which will carry out awareness-raising tasks on public roads on the separation selective waste. 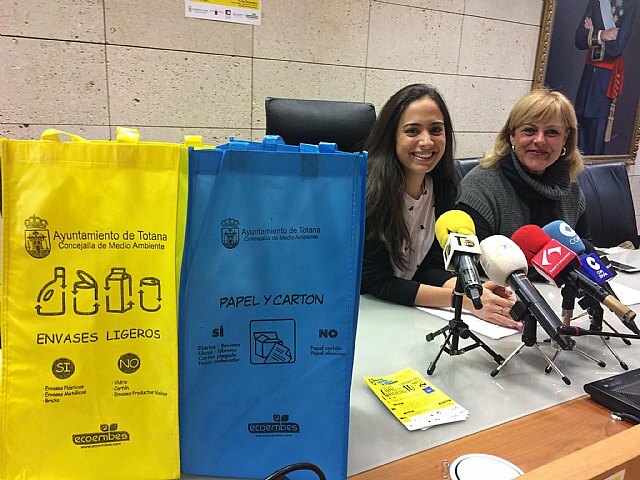 The councilors of both departments, Isabel María Molino and Antonia Camacho, have announced this campaign and the rules of the contest, with which they want to show the benefits of recycling the waste that is deposited in the yellow container, in this case, cans, plastic containers and bricks, both in the protection of air quality and in the care of the environment. The aim is to teach the correct separation of the containers in the clean points for their subsequent recycling and to encourage a positive and critical attitude that leads to a decrease in the generation of waste, transmitting the importance of a responsible consumption of environmental resources and adopting behaviors and sustainable habits. 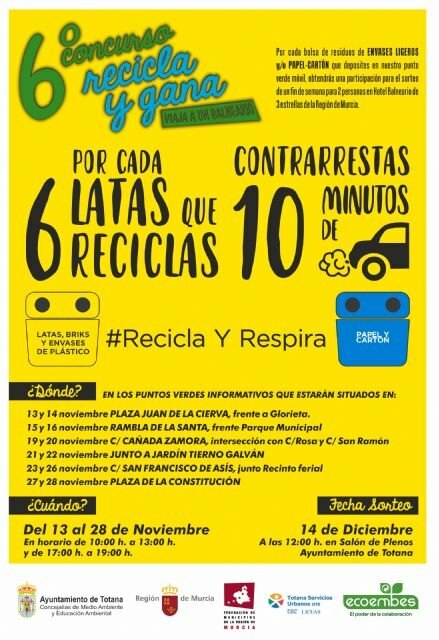 The "Recycle and win" contest, which will be held from November 13 to 28, serves to award participating citizens a prize in reward for the effort they make from their homes by separating this waste (plastic containers, cans, bricks, cardboard, paper, newspapers, magazines, etc.) for subsequent storage in the corresponding container. To do this, a participation card will be delivered to people who go to the Mobile Green Point (mobile information point PIM and containers for the recycling of packaging and cardboard) with their waste and deposit it correctly. Interested users will deposit the card, duly filled in with their name and phone number, in an urn in which they will collect all the participants of the contest, so that the PIM will travel during these dates different points of the urban area, of 10 : 00 a.m. to 1:00 p.m. and from 5:00 p.m. to 7:00 p.m. on the indicated days. and Plaza de la Constitución, on the 27th and 28th of the same month. During these dates, an environmental educator will inform in the PIM of the procedure of the contest at the time that will carry out works of sensitization on the environmental and selective separation of waste. Next to the PIM, the yellow and blue containers (light containers and paper-cardboard) will be found for the deposit of waste, so that a card will be delivered for each bag deposited. Therefore, the more bags are deposited in the containers, the contestants will get more shares and more possibilities of obtaining the prize, which will consist of a one night stay for two people in a three star hotel in a spa in the Region of Murcia , in full board (this stay will have to be enjoyed during the months of January and February 2019). In addition, all citizens who participate in the contest will receive a yellow or blue raffia bag as a gift for their participation and for separation at home. The extraction of the winning card will be held on Friday, December 14, in the plenary hall of the Totana City Council, and will have the presence of citizens who so wish and political leaders of the relevant municipal areas.